Standard square newel posts for stairs. These large posts are used as a structural element to anchor the handrail. 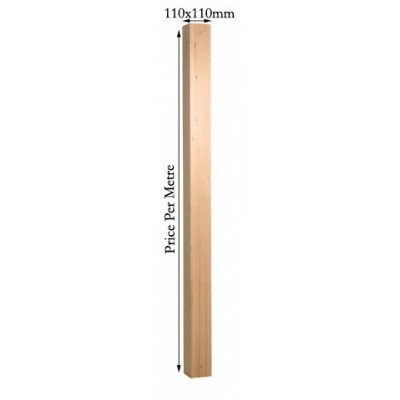 These square post provide a simple but timeless design that gives you clean lines. Available in a choice of timbers to suit your staircase. Timber to be finished on-site during installation.